Two weeks ago I had my laparoscopy surgery for endometriosis. I of course in my natural nature went on a mission ever since to consume everything I could to help me heal. I found Urban Leaf a local to Edmonton wheatgrass farmer. Yes a wheatgrass farmer. How cool is that? I got a chance to check out their awesome facility in west Edmonton where they are very scientific about growing the perfect wheatgrass as naturally as possible. Hence their phrase "beyond organic". They keep contaminants out and perfectly timed watering the plants for optimal growth and sweetness. Since wheatgrass is full of antioxidants, vitamins and minerals its the perfect thing for me post surgery to help heal. Boosting the bodies immune system and alkalizing pH levels not only help with healing post surgeries or injuries but every day life to keep us running. I actually even take mine in the afternoon when I normally have that mid afternoon slump where I used to reach for a coffee to give me that extra boost! Personally I take the shot straight as it comes, but a lot of people mix into smoothies or dilute with a bit of water. I love that I don't have to take up counter space or have my own juicer to get such a powerful healthy product. And I hear that soon you might also be able to get ginger and tumeric shots too!!!!! Find Urban Leaf shots through their site or you can also purchase from Glow Juicery Locations, Maka Eatery and Juice Monkey. You can also enter to win one box (two weeks supply) here on the blog by telling me below your favourite health regime. Then head over to the Facebook and Instagram pages for extra entries!!!! Contest closes March 15th 11:59pm. As much as I am a "push hard, reach your goals slightly, type A" person, I'm also a "be good to your body because you only get one" person. This past fall I competed in a bikini competition. I pushed myself hard. I also didn't compromise on my believes of how to treat my body. I'll blog about competing another time, but I want to talk about the one thing I didn't do that many competitors and non competitive athletes use. Pre Workout powders. Let me firstly say that to each their own believes and what you do with or to your body is your own damn business. I'm simply sharing my view and the bit of research I put together. Also, that I am not expert in food sciences. Just trying to help make sense of a product that is confusing. With that said, I looked into the ingredients of my husband's pre workout powder. All internet research because my nutrition books are packed in boxes for the move, but I will list what sites I used at the bottom of the post. 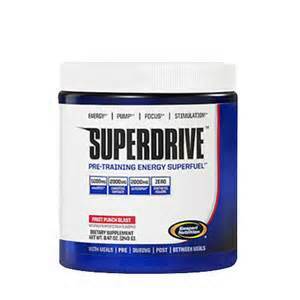 Preworkout powder in question: Superdrive Pre Training Energy Superfuel. According to my husband "the best stuff". Ornithine Malate - So our bodies produce malic acid when converting carbs into energy. MY assumption is this is used in the pre workout powder for aiding in taking whatever carbs/glycogen you have in your body and using that to give you the extra boost of energy. Carnitine Tartrate - An amino acid used to combat muscle fatigue and support weight loss (fat burning). Also says it MAY help insulin resistance. Seems straight forward in it's purpose in a pre workout powder. Microancapsulated Triacetin - This is an interesting one. A food additive apparently. Not sure added for what, seeing as how they use it in gasoline to reduce engine knocking, in cigarettes to plastesize the filters and oddly enough in antifungal creams?!?! Got me beat for a hypothesis on actual purpose there. Dimethylaminoethanol Bitarte - And I quote "said to help memory, focus and increase alertness". Big claim. Ethanol part scares me personally. Higemine Hydrochloride - This is a stimulant designed to help some body tissues relax and others; such as that of the heart; to contract, speeding up the heart rate. Citrus Aurantium (Bitter Orange) - Ahhh the cousin of banned Ephedra, claims to have ephedra's metabolism boosting, appetite supressing and targeting certain receptors in fat cells, but avoiding the Beta-1 and Beta-2 that make Ephedra dangerous. Caffeine - I'm sure most of us know this one well. My personal choice for pre workout in the form of the coffee bean. Caffeine is actually considered a psychological stimulant and blocks adenosine (the thing that makes you feel drowsy). Now for the stuff listed as Other Ingredients aside from their main purpose ingredients. Natural and Artificial flavours - Pretty self explanatory. Flavour is strawberry kiwi if you must know. Lecithin - A thickening agent. I assume during liquid thickening so you can have more volume for less money? It is a business after all. Silica - When used in food products it's purpose is to absorb water. Likely to help when all products are turned into a powder, it's to make sure its completely dry so you don't have a clumpy mess when you open the container. Sucralose - A non caloric artificial sweetener. A whole other blog post, so I wont touch this one. Citric Acid - Adjust PH levels, can help enhance flavour, but likely used for it being a food preservative. Salt - Again another food preservation method. Acesulfame Potassium - Another artificial sweeetner. Which I totally did not know. Radish Powder - used for coloring. Better then Red Dye number 5 right? Ha ha. Now if you haven't gotten enough of my opinion on the matter, I'm not for using these. This is strictly my own theory but I think about the ones that help with insulin resistance or converting carbs to fuel. These are basic functions our bodies perform. So maybe using something to perform these functions for us hinders our bodies from continuing that function? Like our bodies just go "hey, something else is handling that function so lets turn off, be lazy and put our efforts toward something else that needs our attention?" Most, if not all pre workout powders say on the label not to consume for longer then a certain amount of time consecutively. Maybe that's the reasoning? Or addiction to the fun heart racing items? With all this said, and my personal opinion on them, taking a pre workout for a few weeks or a workout here and there when exhausted I don't think will do excessive damage or anything. Just please stick to the warnings on the label, take a break from it and cycle it and of course listen to your body when taking it.